Have you heard that winter's a bad time to buy a house? Here's why that's no longer true! While Spring and Summer are the most popular seasons to purchase a house, home sales in the Winter are becoming increasingly common. Cold weather and inclement conditions can change the home buying process in a number of ways however. 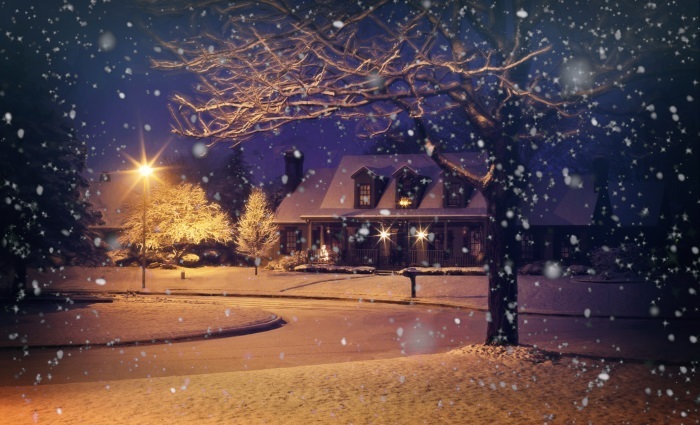 Rather than take a break from the house hunt, take advantage of the winter weather instead! While some sellers may take their homes off the market in the winter, that doesn’t mean you won’t find the perfect home during the winter months. As more and more buyers house hunt during the winter, less and less sellers are ignoring this market. You never know when you may find the home of your dreams, so why stop looking just because it got cold? As an added bonus, there’s often less buyers as well, which means less competition! Northeastern PA can be a bit dreary during the winter, so it’s important to imagine what that house will look like when the sun is shining, the trees are full of leaves, and the grass is green. You may be looking at a yard full of snow now, but don’t forget that Spring will be here in no time! Is the home well insulated? Are the windows drafty? Does the heating system work and is it adequate? These things are all much easier to determine in the winter, so you and your home inspector will be better able to locate potential issues and consider what will be necessary to resolve them. Radon levels naturally fluctuate from day to day and month to month. The frozen ground, sealed up houses, and active heating systems however mean that Radon levels are often highest during the winter months. This means that your Radon test results will generally reflect the worst conditions you can expect, allowing you to address any Radon issues your property may have. Do you have some minor projects you would like completed before you move in? Contractors and handymen are often slower during the winter than other months. That doesn’t just mean you may be able to have the work completed quicker, but often cheaper as well! Once you move into the house, you will need to immediately begin winter maintenance. From shoveling sidewalks to having the heating system and chimney serviced, you’ll want to make sure that your home is ready for you to move in! There’s no need to put your dreams on hold just because the temperature dropped! You can not only find the perfect home for you and your family during the winter, you can use the season to your advantage! As always, should you discover an issue that requires a professional, please don't hesitate to Contact Our Offices, we're always happy to help! *This story originally appeared in the December 2018 issue of Connections Magazine, as part of a monthly contribution made by Disaster Blaster, Inc. Please check out the current issue of Connections Magazine for this month's story!